MEMOIRS OF SCHOOL STREET VILLAGE: growing up in a Portuguese Village in America: HISTORICAL MEMORIES OF FUNCHAL.. Sorry to have been away from my post, so to speak. 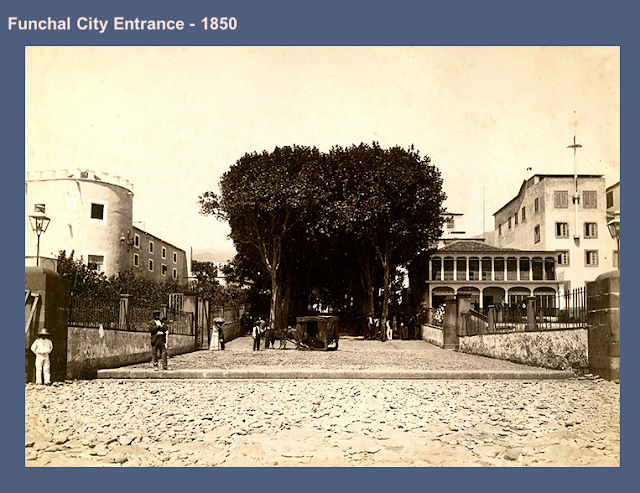 I am back again with this new post which will talk about Funchal, capital of Madeira. We continue the Origins of the People of the School Street village. Funchal is where my maternal Grandfather, Manuel Motta was born. I am noticing more and more that international readers are visiting this blog. Manuel is but a shadow in our history. No photographs exist of him, and only what my grandmother Isobel told us in a recorded interview helps us to know him. Perhaps: someone is out there with some information about him and our family on that side. I hit so many dead ends in my research that I need to jump start again. What I do know puts a personal side to our description of this beautiful city. 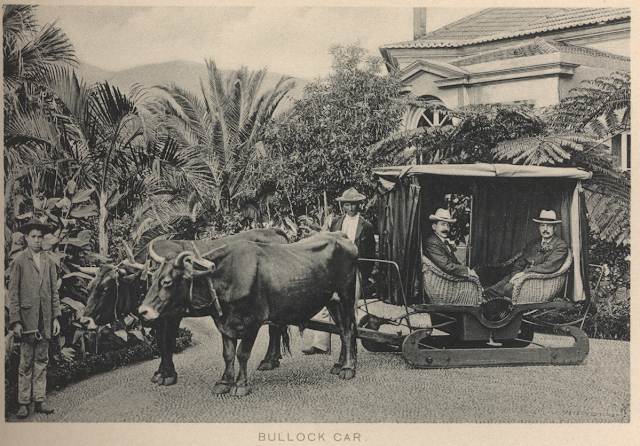 Manuel was born in Funchal in the parish and village of Santa Maria Major on October 15, 1895 to Antonio and Maria C. da Motta. 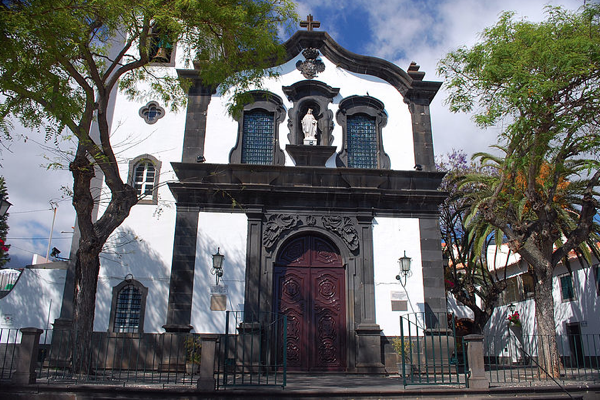 This is a venerable church in the baroque architectural style that is also called Igreja de Sao Tiago Minor. It also had other names , as over the centuries it was rededicated when the need arose. Here my grandfather, his parents and theirs and on into the past were baptized, confirmed, often married and in my grandfather's case had their funeral masses. As an aside, land being so rocky and limited, burials took place only temporarily when cremation then took place and common sites were used. For this reason there are few memorial name stones in Madeira. This is a problem for those seeking genealogical knowledge as, of course, cemeteries are a large source of information, In all of Madeira, there are only a few "cemeteries". More to come as more photographs and input come in from our readers. My grandfather's paternal grandparents were Maria de Conceicoa and Manuel da Motta. Maternal grandparents were Helena de Jesus and Francisco Fernandes. This information was gleaned from two fragile letters that my mother kept from Maria and Manuel written in 1940 and 1941. This allowed us to get his birth certificate and. much later, his death certificate. Manuel had at least two siblings that we know from one of those letters. A brother, Jose, who was in South Africa, a common destination for Madeirenses. We know from my mother that a sister named Carolina or Carlotta cared for my grandfather in Madeira when he was dying. We must assume that my grandfather immigrated to the U.S. prior to 1915 which was when he met my grandmother Isobel in Bristol and they were married. Isobel wrote that an uncle (was it maternal or paternal? ) introduced them in the shoe factory where they both worked in that town. Manuel clearly loved his little family. He, and they often, visited Madeira and he went there in his final illness. He died in his early thirties. That little family found only tragedy in America. Their little son died at 18 months of age. 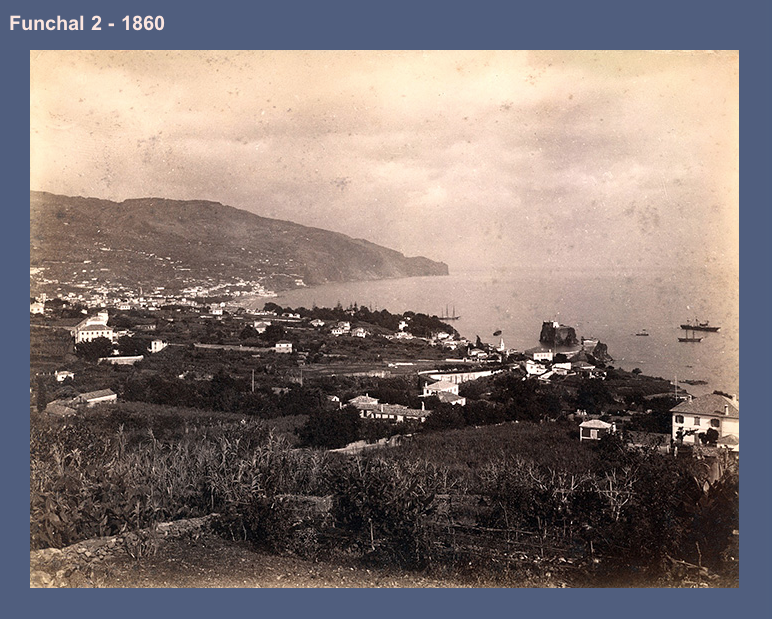 Their daughter, my mother, spent her childhood from the ages of 9 1/2 to 18 in a Boston orphanage after my grandmother became seriously ill.
Funchal is a beautiful seaside city. I can see why my grandfather so loved it. 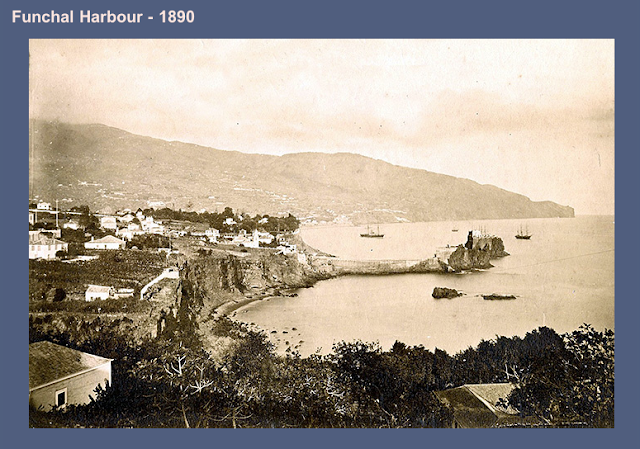 I was fortunate enough to find these photos on madeira,webcam. com which tell us what the city was like when he was born and probably for most of his life. "Views of Madeira" it contains 18 clear old photos of that time. 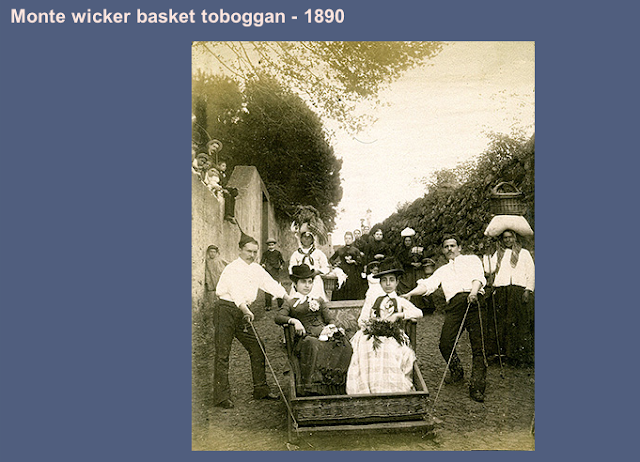 The first is taken in front of the Grande Hotel in Monte where the toboggan rides still originate. 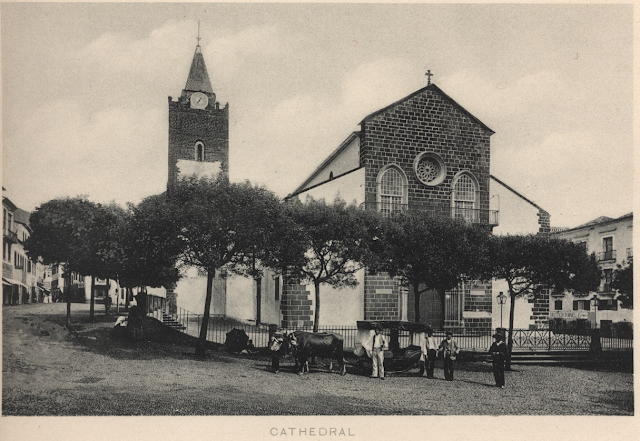 Below is another photo from that time of the Cathedral in Funchal built between 1493 and 1514. More to come about Funchal....and hopefully, more from all of you reading the posts. I just returned from Funchal yesterday and have lots of pics. I just put them all on Facebook. Let me know if you'd like to see them. absolutely.....let me know how to access....friend me?